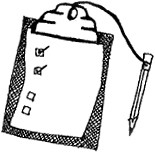 Please browse the list below for the form you need. If you don't see what you're looking for, please don't hesitate to contact us. US Postal Service: Log in to complete a change of address form. Hubway–rent a bike and ride! Zipcar–rent a car and drive!